The intrepid Pipeline podcasters break down the MuleSoft acquisition, which enables hybrid cloud/on-premises CRM. Also: Salesforce Essentials replaces Desk.com and SalesforceIQ. Salesforce is in the news for releasing a product aimed at helping the smallest of businesses, while simultaneously acquiring an enterprise cloud software company for more than $6 billion. 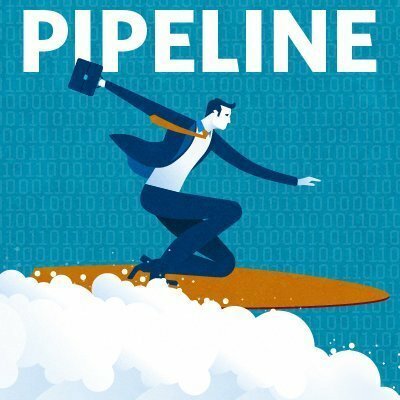 In this podcast, the Pipeline podcast team discusses the implications of these two announcements as they relate to previous moves and inside information from Salesforce executives. It has been a busy start to the year for the San Francisco-based CRM company, as the Salesforce acquisitions in 2018 now reach three, with its latest purchase of MuleSoft Inc. being by far the priciest in the company's history. Many analysts believe the purchase will help Salesforce find new hybrid cloud customers. Others, however, think that Salesforce overpaid -- perhaps due to a bidding war, according to public reports. Of the three Salesforce acquisitions, the $6.5 billion MuleSoft deal is by far the largest. Salesforce also purchased back-end development software company Attic Labs for a reported $11 million and B2B e-commerce product CloudCraze for an undisclosed amount. The main difference with the MuleSoft acquisition is what role it's meant to play within the larger Salesforce ecosystem. Usually, Salesforce acquisitions are immediately obvious as to why they made them, and they fill a specific hole in a customer-facing portfolio. "Usually, Salesforce acquisitions are immediately obvious as to why they made them, and they fill a specific hole in a customer-facing portfolio," said Paul Greenberg, managing principal at 56 Group LLC. In a news release, Salesforce said MuleSoft will power its new Integration Cloud. "Together, Salesforce and MuleSoft will enable customers to connect all of the information throughout their enterprise across all public and private clouds and data sources -- radically enhancing innovation," said Marc Benioff, Salesforce CEO. On the other end of the business spectrum, Salesforce also released its Salesforce Essentials product, which is marketed for small businesses with up to 20 employees. "A small mom-and-pop shop doesn't have IT resources," said Kate Leggett, a Forrester Research vice president. "If they're looking for CRM, they're not looking for sales applications, customer service applications and marketing applications -- they basically want one application for everything." The Salesforce Essentials product will replace current products Desk.com and SalesforceIQ, which will retire in 2020. Salesforce is marketing its Essentials product to small businesses with growth opportunities, hoping to sink its hooks into companies early on so that when they grow into potentially enterprise-sized companies, Salesforce can scale with them. Salesforce Essentials will also receive specific content in Trailhead, Salesforce's free, interactive, gamification education service. I understand it will impact licensing and support agreements. Moreover contracts need too be revised. However, if you are using both Mulesoft and Salesforce, it will be important to get legal advise on the agreements. Great informative post. Together, Salesforce and MuleSoft will empower clients to interface the majority of the data all through their venture over all open and private mists and information sources. Thanks for sharing the information with us.